Washington DC has a strong restaurant scene with a growing number of farm to table options across the city. Top restaurants are working with local farms for the best seasonal ingredients. Chefs are then putting their own spin on dishes so you're not seeing the same take on vegetables in every restaurant. Great ingredients, nice variety and good atmosphere means it's a perfect time to dine in Washington DC. Garrison sits on the trendy Barracks Row, not far from the other notable restaurant in the area, Rose's Luxury. The good news with Garrison is that they take reservations, where Rose's Luxury does not. The good news continues from there with a farm fresh seasonal menu that changes with whatever is fresh from the market. 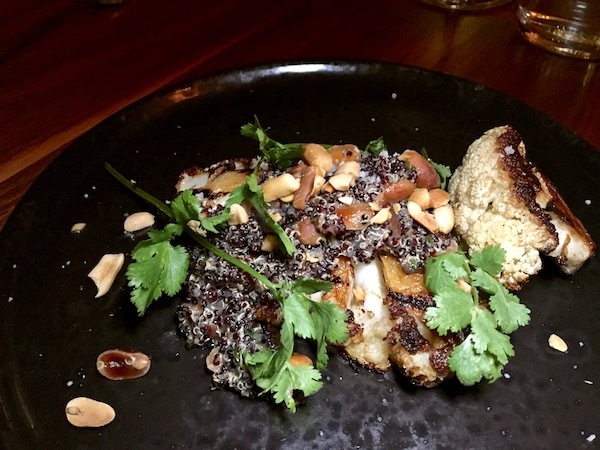 There's a vegetable section of the menu that features unique platings of things like salt roasted turnips with apple cider and hazelnuts, and pan seared cauliflower in sweet onion black quinoa with Virginia peanuts. The presentation is as beautiful as the dishes' flavors, including a nice selection of fire roasted meats and fish and seafood. You know you're in for a good time right off the bat when you hear the name of the DC restaurant, The Fainting Goat. Their logo even features an upside down goat. The casual bar and two-story restaurant sits on 14th and U and also sources their ingredients from nearby farms "to ensure that only healthy livestock and produce are being used on your plate." I got a best-of the farm selection on the raw and roasted vegetable platter which was a fun play of textures and colors. A grilled octopus also had a nice play of sweet flavors mixed with heat in a fiery aji amarillo sauce. You can also choose from other colorful dishes like a Thai inspired snapper crudo, prawns with black garlic and basil and a creamy miso sambal duck. Brunch is a "thing" in DC. In fact, it's a really big thing. There are many brunch options to enjoy on a lazy Sunday in Washington. Hazel offers a unique spin with a Dim Sumday brunch. Not only do they offer a lovely outdoor patio, but the menu goes above and beyond basic egg dishes. You can have your egg with spiced aioli and bacon jam or served in a duck muffin or in a kimchi scramble. You can leave the eggs and dive into curry squash donuts, marinated beets with baba ganoush or spicy fried chicken. If decisions seem too hard on a Sunday, order all 11 dishes for "The Whole Shebang" offering. 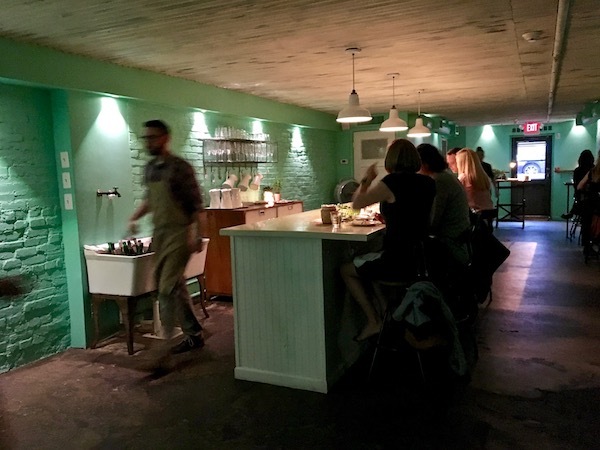 The Dabney sits in a back alley of DC and has been racking up the awards since they opened. They were on Bon Appetit's best new US restaurants last year and also just received a coveted Michelin star. You know that they're working with local farms on their star-studded seasonal menu options that rotate frequently. The Dabney is also using open fire to cook some amazing wood grilled items like the tangled web of hearth roasted vegetables with potato puree and crispy shallots. Fish is well represented on the menu with different options like trout, tilefish, fluke and skate. You can also dine family style with pork or rockfish for a group. 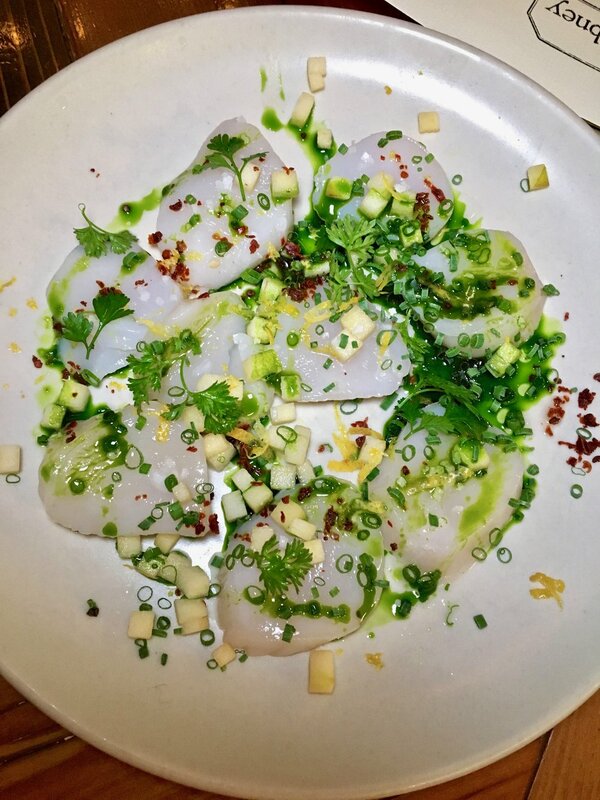 Little Serow is an assuming looking, compact DC restaurant off Dupont Circle. They don't take reservations which means you're lining up in front of a non-descript basement door about an hour before they open. I lucked into a short line a half an hour before they opened at 5:30 with just two others in line before me. I also was able to defer my table until 7pm. They'll text you when the first seating is done and your table is ready. 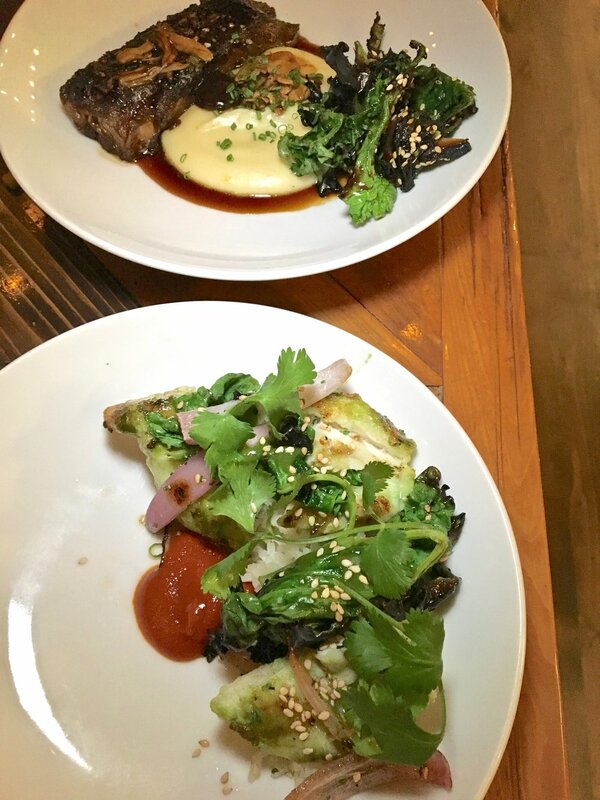 Little Serow changes their prix-fixe menu every week. Expect firey food from Northern Thailand. There's pork, tofu, beef, shrimp and spices galore. You're presented with rice and cool vegetables when you arrive to enjoy with each dish or as a side. There's no shy, muted dishes here as big, bold taste dominates with the right amount of heat and acid. The $49 tasting menu is quite the deal from a James Beard award winning chef.